A new BW Events is introduced in the BI 4.2 SP5 that allows a user to schedule a document based on BW Events in the BI platform. It allows a user in the BI Platform to schedule a document when the data is updated in the BW system. Consider a report “Daily sales” that is based on BW data source named “Sales”. When the data is updated in the “Sales” data source, the “Daily sales” report should be delivered to sales executive with the refreshed data. With the new BW event, whenever the data is updated, the event is triggered in the backend and the report gets scheduled. Prior to BI 4.2 SP5, RESTful SDK was supported only in WACS, however, WACS has scalability and performance constraints. With more and more applications (such as Fiori BI Launchpad, Lumira and others clients) consuming primarily RESTful SDK, it was mandatory to have a scalable framework. BI 4.2 SP5 ensures that RESTful SDK can run on WACS as well as Tomcat Webserver. Supporting RESTful SDK on tomcat will ensure better performance and scalability as it supports load balancing and clustering. A new war file called biprws.war has been created and it will be deployed by default with BOE installation on to Tomcat under omcatwebapps. Customers will have an option to point the REST URL either to WACS or Tomcat. Post patch update to BI 4.2 SP5, the RESTful SDK will continue to work on WACS as configured earlier, however, customer will have an option to configure it on Tomcat for better performance. In the CMC, click Applications. If you are using Tomcat, you can set the RESTful Web service parameter values as part of server configuration within tomcat. As part of 4.2 SP5, we are supporting only on Tomcat (version 8.5.7 and 9) of all supported applications servers. As part of BI 4.2 BP05, you will find a new application called BI Administration Console which caters to the different needs of BI Administrators, Delegated Administrators and Developers. The purpose of this application is administrate BI landscapes efficiently and automate your day today tasks easily. It is a container for improvised versions of administration applications. As part of BI 4.2 SP5, the hashing algorithm SHA1 is replaced with SHA2 to enhance security in the BI Platform. Modification to the digest algorithm has led to the modification of the Encryption/Decryption algorithm. The encryption/decryption that underwent the changes are mostly used for the CMS DB connection and while communicating data over CORBA communication. What is need for replacing the usage of SHA-1 with SHA-2? SHA-1 produces a 160-bit (20 bytes) hash value, whereas SHA-2 produces 256-bit (32 bytes) hash value. SHA-2 works the same way like SHA-1 but is stronger and generates a longer hash. In cryptography, SHA-2 (Secure Hash Algorithm 2) is a cryptographic hash function designed by the United States National Security Agency and is a U.S. Federal Information Processing Standard published by the United States NIST.SHA-2 produces a 256-bit (32-byte) hash value known as a message digest. A message digest is a cryptographic hash function containing a string of digits created by a one-way hashing formula. Message digests are designed to protect the integrity of a piece of data or media to detect changes and alterations to any part of a message. 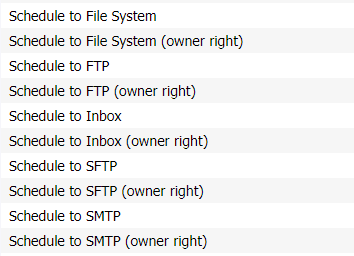 In BI 4.2 SP5, we have introduced rights on individual destinations, this enables the administrator to control destination to which user can schedule given documents. Basically, using these granular rights, administrator can ensure confidential document can be scheduled only to secured place such as BI Inbox and sales document can be scheduled to non-confidential location as well such as FTP, Email, etc. Example: We have some financial report, which is confidential and no one should schedule over the mail, however, there are some sales report which needs to be scheduled over the mail for sales people. With the introduction of new rights, this can be achieved. Prior to BI 4.2 SP5, we had only destination rights which enables all or none destinations.From BI 4.2 SP5, we have destination rights on individual destinations. 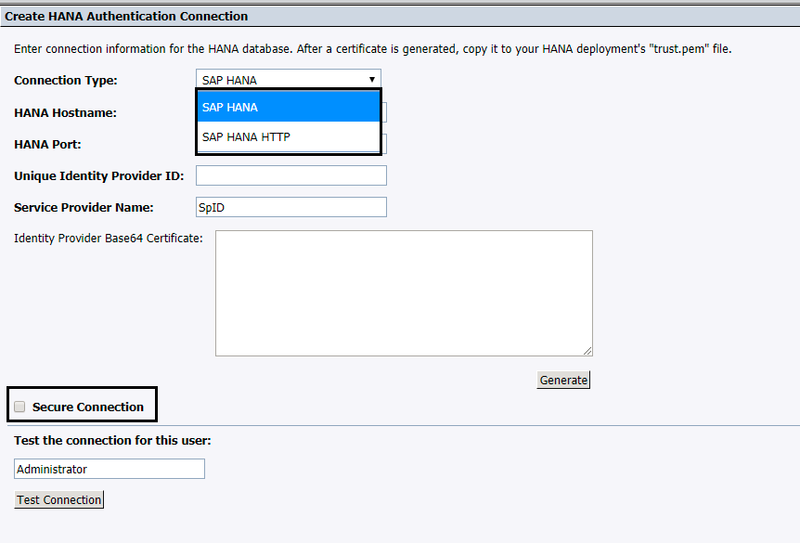 Support for SSL over JDBC connection for HANA SAML authentication has been included in BI 4.2 SP5. 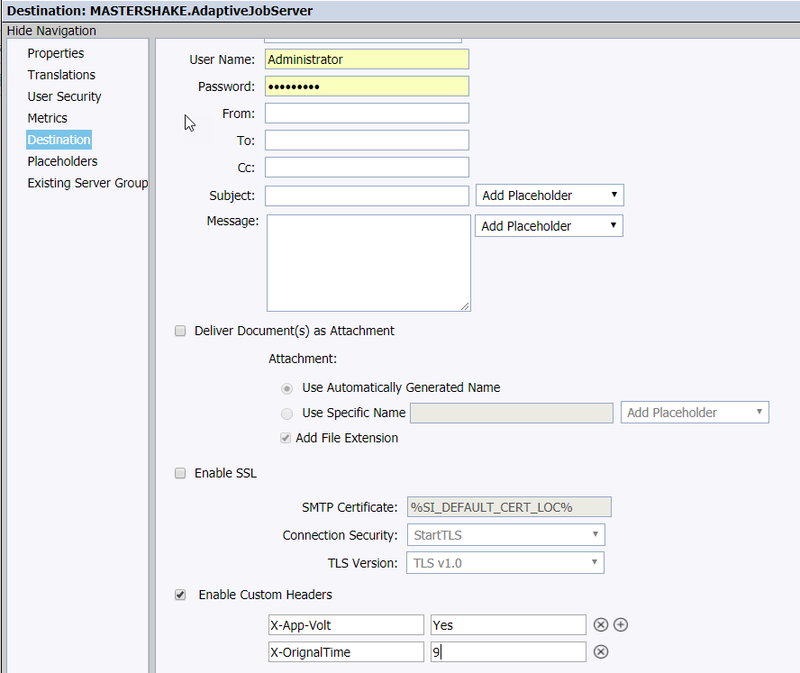 Prior to BI 4.2 SP5, the connections like HTTP, HTTPS and JDBC were supported, however, if on HANA server, SSL was enforced, JDBC connection from BOE to HANA use to fail. 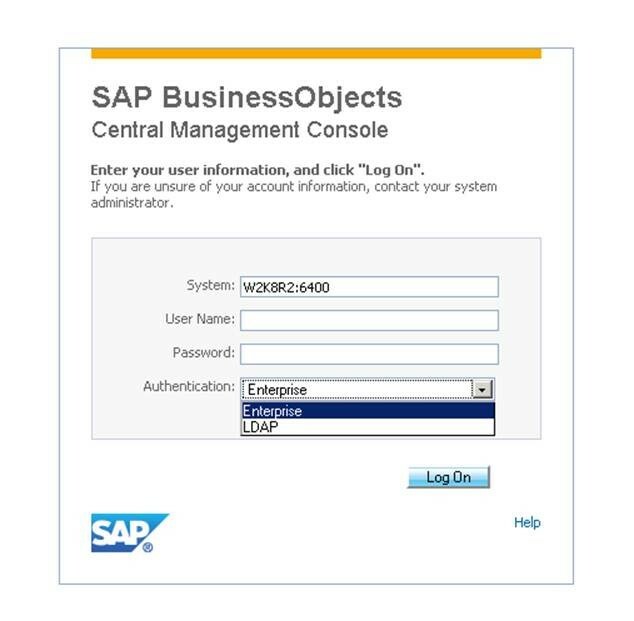 From BI 4.2 SP5, support for SSL JDBC communication from SAP Business Objects to HANA for SAML workflows has been included. In the below screen, for non-secure connection, uncheck Secure connection checkbox and check for secure connection for both HTTP and JDBC connection. If a customer is upgrading from 4.2 SP04. Basically, customer will have flexibility to convert any Non-SSL connection to SSL connection, by selecting the checkbox and vice-versa. ServerGroup assigned at UserGroup and Folder would be respected while scheduling publication. If ServerGroup is identified at any level, it will use that ServerGroup for scheduling else will consider next objects. Expired is a new status introduced in SAP BI 4.2 SP5. If the document does not runs in the specified period of time, the status of its instance would be expired. Prior to BI 4.2 SP5, it used to be failed state. Basically, expired status would differentiate between failure due to time elapsed or any other reason. At 8:18 AM, you will have Expired instance, since the time has elapsed. We have an option to change BW password in CMC and BI Launch Pad, if the BW password is expired and requires change at next logon. 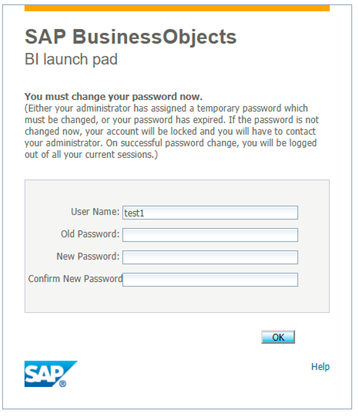 Consider BusinessObjects system is setup with SAP Authentication and SAP BW password for a given user is expired, in such a case user will have option to change password during next login from CMC and BI Launchpad. User will get below option to change BW password, when the password is expired and user tries to login in BI Launchpad or CMC. Custom header in Adaptive Job server has been introduced as part of BI 4.2 SP5. 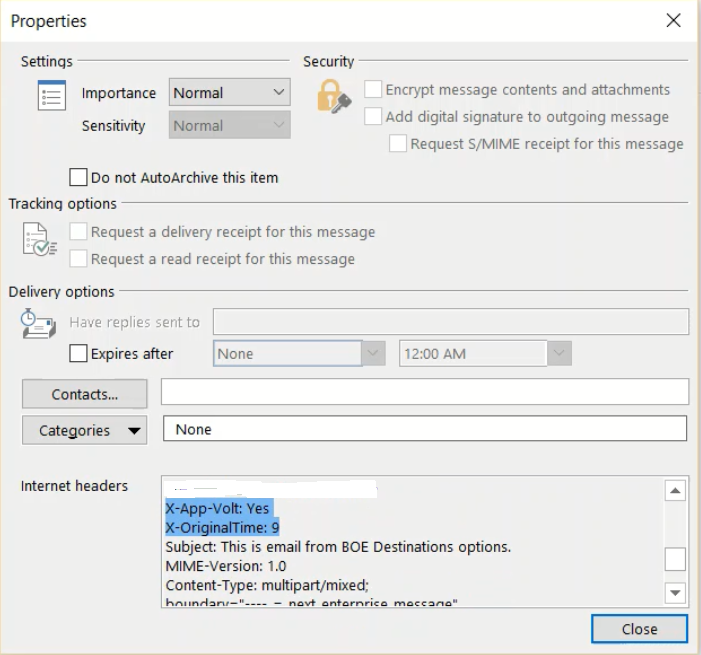 While scheduling a document from SAP BusinessObjects to Email destination, the added custom header would be deliver along with the default headers to the recipient email. Custom header in Adaptive Job Server is configures as below. Email from BI Platform (AJS) will have custom header in recipient headers. 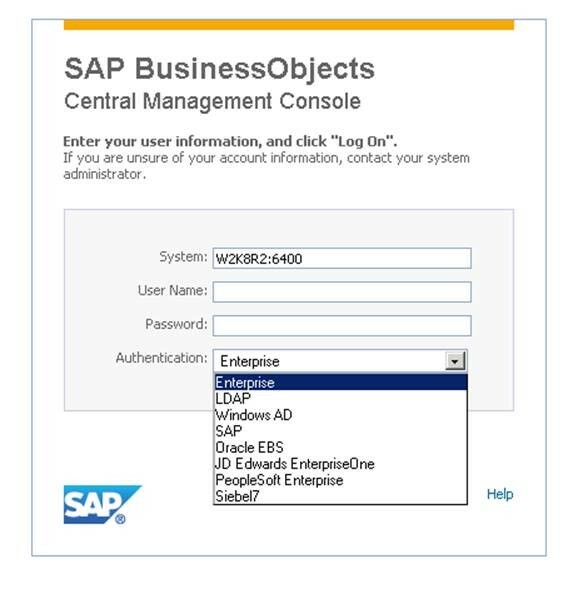 By default, all Authentication types are displayed in BI Launch Pad, Fiori BI Launch Pad and CMC, from BI 4.2 SP5, Administrator will have option customize the authentication type that should be available to end-user on CMC and BI Launch Pad. New property “logon.authentication.visibleList” is introduced in BIlaunchpad.properties and CmcApp.properties, which will ensure only limited authentication types are available for end user. Stop Tomcat, Modify the CmcApp.properties file to list only Enterprise and LDAP as below and start tomcat. The Business Intelligence Platform supports SAML 2.0 as an authentication mechanism for single sign-on experience. This means that you can now log on to a cloud application like Analytics Hub or SAP Analytics Cloud and access the resources in BI applications like Fiori BI Launch Pad, BI Launch Pad, and Open Document during the same logon session using SSO. SSLC tool which was used to generate certificates till BI 4.2 SP04 does not support SHA2 digest, Additionally, SSLC is based on RSA library and would be coming to end of life. Keep this in mind, SAP BusinessObjects came up with new tool GenPSE, which is based on SAP Crypto library and support SHA2 algorithm. Commentary was delivered as part of BI 4.2 and it supports ODBC and JDBC connections to commentary database. JDBC was performant however ODBC had few performance constraints. In 4.2 SP5, we have resolved commentary performance issue.Performance test shows significant improvement in the performance of View, add, update, and delete comments. For security reason, BI Platform has ensured, when the user changes it’s password, all it’s existing session would terminate. Which mean all the session which was created using older password would be terminated and user needs to login using new password. Next SAP Community looking ahead: SAP TechEd Barcelona 2017 activities!